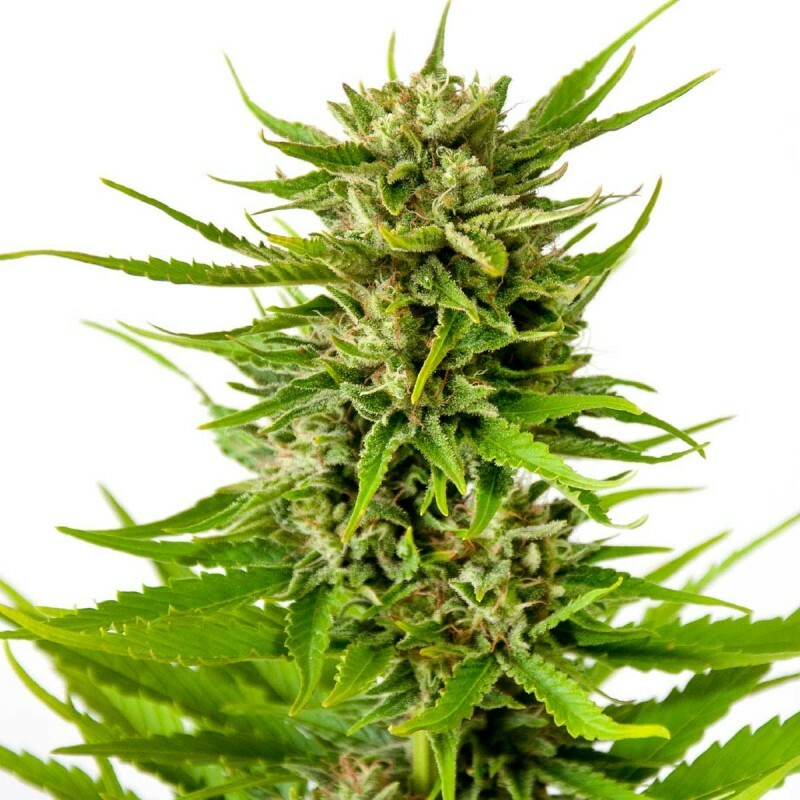 K2 feminized seeds are a typical Dutch delight for everyone who loves a strong taste with an easy relaxed feeling built up from an energetic high. K2 is very suitable for growing indoors and even with limited space she'll do very well. Although it is a Sativa kind K2 grows surprisingly compact with beautiful firm tight cola's covered with crystals. This seed gets its name after the second highest peak in the mountains of Himalayas. The Indica and Sativa marijuana hybrid is known for its heavy yield. With a very attractively short period of flowering, this strain is immensely popular with both commercial and underground growers. The best method for growing K2 feminized seeds is Sea of Garden as it has given outstanding resultstime and again. Indoor growers prefer K2 more than outdoor growers and the reason behind this is its compact structure along with weighty and tight buds that K2 produces. The structure of these plants is such that they don’t take much of space while growing, making them perfectly suitable for indoor growing. That said, these seeds also give great results on the outdoors in which they grow into chunky bushes that are shaped like pine trees. But, they need warm summers for thriving outdoors! Comfortable numbness and subtle high is what you get after medicating on K2. Being one of the plants that are easy to grow, growers always enjoy their time with K2 as they don’t have to go through the hardship of heavy maintenance that most other cannabis seeds demand; not to mention as the end result are delicious buds the excitement and motivation continues throughout the growing season. They grow with tight colas that are firmly covered with crystals. The promising yield that it gives for the first time will only convince you to grow more of these again and again. It gives a nice full body high and the effect is a mixture of being high and feeling stoned. The acrid, sweet and potent smoke also gives you a hint of Skunk. Quando chega ao brasil as sementes são enviadas sem precisar pagar alfândega ou algum tipo tributos? I think this is a super cool plant; it will never get burnt if you keep them in higher EC level. The way it got shaped and structured is too good. Thanks ton High supplies for this seed. Delivery was also too fast, they deliver exactly what they promised. Growing rate is normal but I saw it got stretched from all the sides and I saw lot of phenos. When these seeds got delivered to me, I kept them in spring water whole night and then put it in peat pellets when they cracked. i just want to know if i can buy onion seeds texas grano from your company . if yes can u send me a qoutation . we do not sell those seeds. sorry.